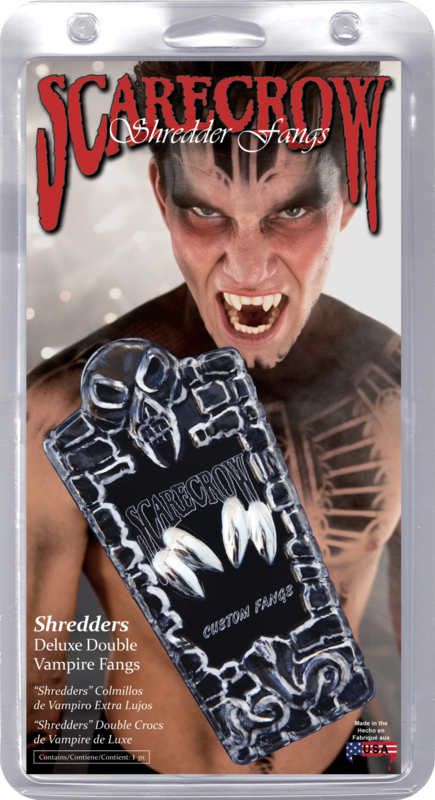 The Original Scarecrow Vampire Fangs - Available in 9 metallic colors: Red, Orange, Gold, Green, Blue, Purple, Pink, Black, and Chrome. 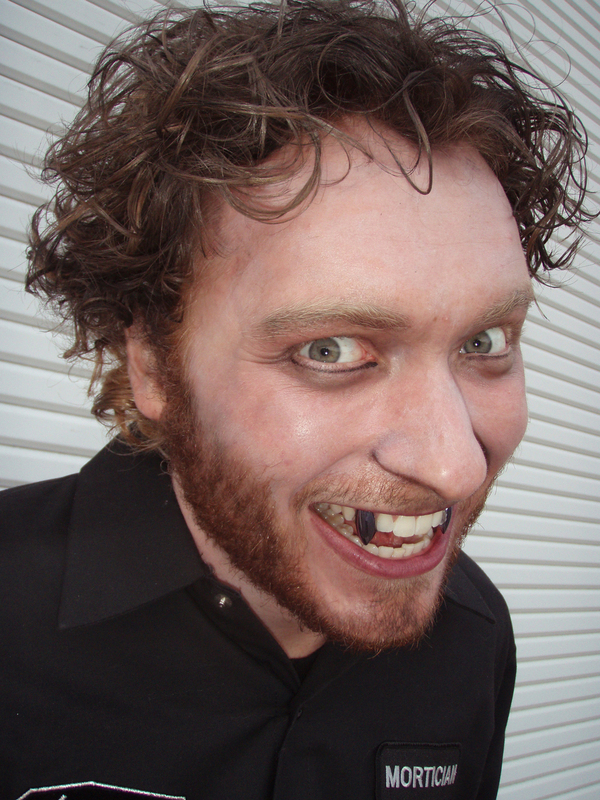 "Classic Glam Deluxe Custom Fangs" (GLM120) are designed for people with average to larger teeth. "Small Glam Deluxe Custom Fangs" (GLM220) are designed for people with smaller teeth, or those looking for a subtler look. They may fit either canines and/or incisors or bottom teeth. Fast, easy, comfortable, and totally realistic. 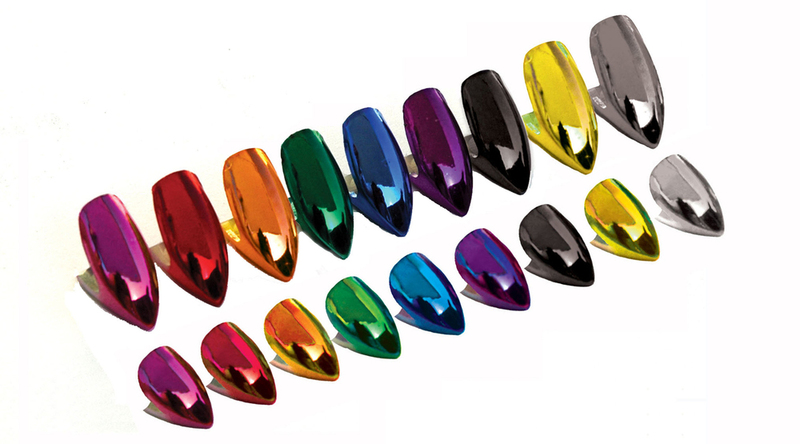 Fang caps are shiny, rigid and beautifully contoured to look great in any mouth.